Session 291. Kitesurfing session after work at Port Melbourne. Very spiky wind during the day moderated later in the afternoon. Stuart, James, Tarren all travelled to Port Melbourne for a nice session close to the Spirit of Tasmania. My Lithium 9 was mostly well powered, especially further out where the wind was stronger and less gusty. I kited out a fair distance then came back on the swells. Garmin have stuffed up both the older ANT agent and the new Garmin Connect software so I can no longer upload my session logs from the 310XT GPS. I am not impressed with this level of software incompetence. Everybody seems to be sharing this problem. Passed three kayakers out for a paddle (was that you Duncan G?) and heap of sea birds feeding close to the surface. I was out for about an hour and very satisfied with the session. Closing in on #300! Session 290. 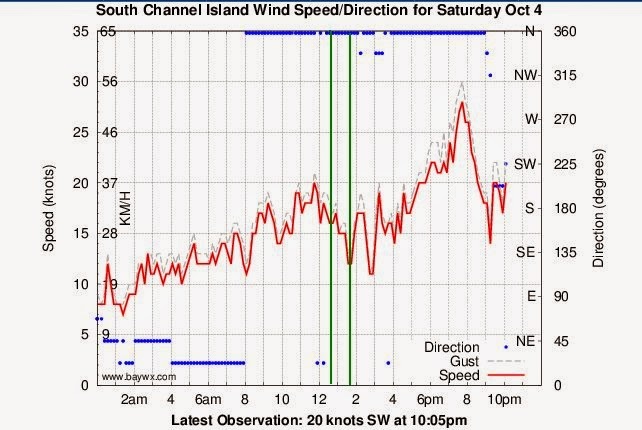 A northerly was blowing ahead of an afternoon wind change so Stuat, Tarren and I headed to Rosebud. The wind was light when we arrived in the morning so I setup my Lithium Zero and got on the water. The kite was flying nicely, but staying upwind was again difficult. Heading out from the beach was good, but the run back in seemed to have lighter wind. Off shore the wind dropped off too. I did a couple of runs and walked back along the beach. Tarren had a go of the Zero while I had a rest. Then the wind picked up. It was hard to shed power with the Zero. If the kite flies high it tends to pull you off your edge. I came into shore and landed it, then took out my Lithium 12 which had plently of power (and depower!). Stuart took the Lithium 12 out for some runs too. Tarren and I had lunch at the Tasting Station Cafe. I drove back past Mentone after a nap (tired!) and the southerly change was coming in hard. Nice bay surf there but I didn't go out again. Session 289. 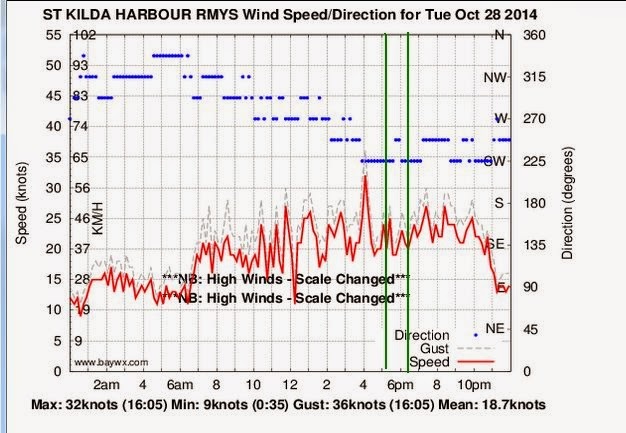 Sensational kitesurfing downwinder from Beaumaris to Port Melbourne. I took my Lithium 9 as the wind was good. After a couple of runs waiting for the others to get on the water I started surfing the rollers and came in close to the reefy shore. I almost got stuck behind a rocky reef but just made it over it. It was really nice to be on a tour again. Coming up to the Cerberus was interesting as waves were breaking on the reef off the point. I scooted next to then behind the Cerberus and continued on. The others were some distance behind. Coming past the breakwater at Hampton was quite exciting. I did a couple of runs into Hampton beach but still they were a long way behind. There was some good surf at Green Point but I stacked once and the board hit my right calf and corked it a bit. It was chilly in my shorty wetsuit (should have worn my steamer) so I decided to keep going. 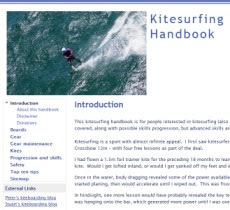 I did some slalom turns through the madding hordes kitesurfing at Brighton and continued on, getting some good speed up. The surfboard is easier to turn and handle in the larger bay rollers than the Sector 60. I arrived at Port Melbourne very happy to have completed the downwinder. After about 15 minutes the others showed up. We jumped in the cars left and Port Melbourne and headed back to Beaumaris.